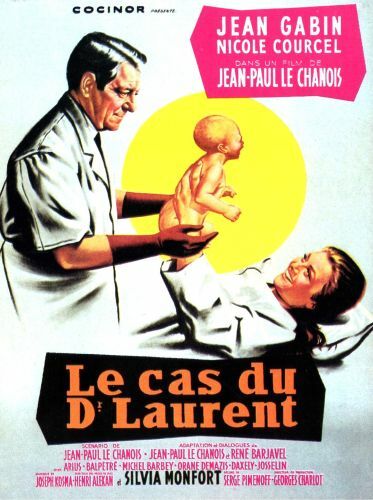 Le Cas Du Dr. Laurent (The Case of Dr. Laurent) stars Jean Gabin as a Paris-based doctor who tries to spread the gospel of Natural Childbirth. Working in a cloistered rural community, Gabin runs up against the stone walls of fear and prejudice. His theories are proven sound when unwed mother Nicole Courcel gives birth within Gabin's methodology. The childbirth sequence is filmed straight-on with a delicate combination of taste and frankness. Nonetheless, the lurid ad campaign of Cas Du Dr. Laurent sensationalized this sequence all out of proportion.